The buckler fern represents the grassy long-term fern relating to the Aspidiyev' family. Not less than 150 species of this plant extended everywhere are known. 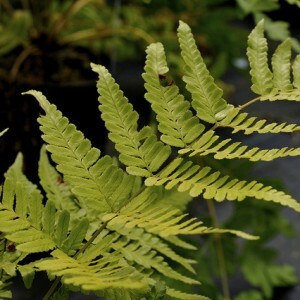 The buckler fern differs in the short and powerful rhizome. Height of a plant varies from 30 to 150 cm. Leaves of this plant have a triangular form and collected in bunches. Leaves rather long, can reach 1,5 meters in length. Sheet plates from above naked, and from a reverse side of leaflets settle down a sporangium – dark points of a roundish or oval form in which there are disputes. For this reason the plant also received the name.